Pure Extensions Online Certification Program, including Stylist Starter Kit. EDUCATION. 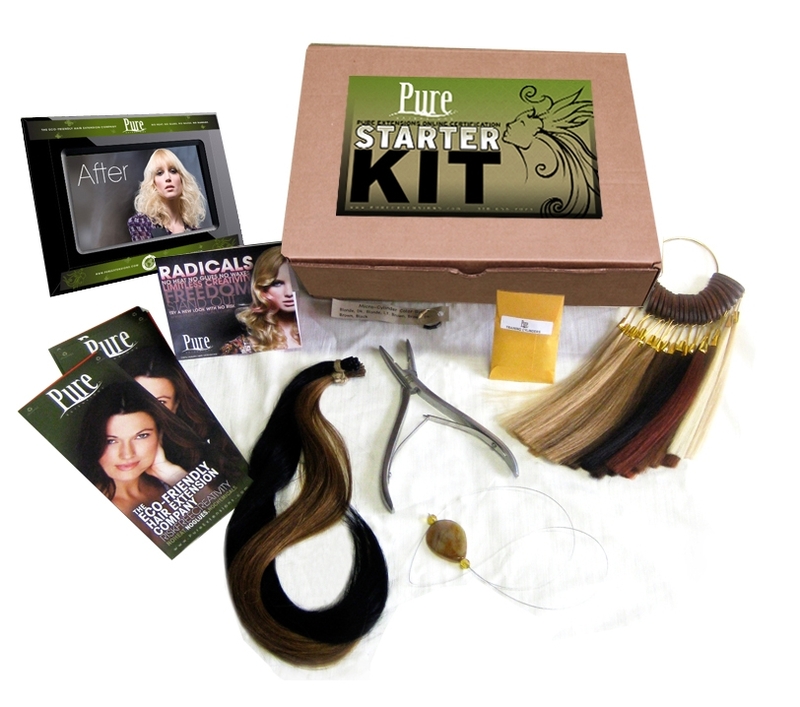 PURE Hair Extensions is a salon-exclusive product. Only PURE Certified Stylists may apply them. Our on-line certification program will provide you with all the tools and knowledge necessary to apply cut and style PURE Hair Extensions immediately! Online certification includes a PURE Starter Kit and access to Video Tutorials, as well as direct feedback from the Pure Education Team. At PURE Hair Extensions we believe in educating the stylist so that they can educate their client. Providing the client extension care and maintenance techniques along with DO�s and Don'ts will ensure that the client has a fantastic hair extension experience...and keep them coming back for more. * To complete certification the stylist must provide a mannequin head with at least 6� of hair.